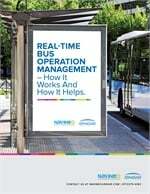 This month I will be touching on the instructor’s role in setting the tone between instructor and new bus operator student candidates with regard to keeping training bus chatter focused on the tasks ahead. The instructor is the “captain of his ship." 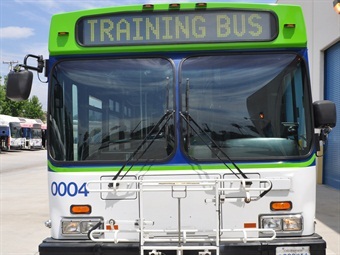 Aside from having to posses the ability to demonstrate, and then, teach a student candidate to successfully operate safely in passenger service, they take upon themselves the responsibility of having to make the right call to terminate or advance them forward. The training bus will be the “classroom on wheels” throughout the basic skill development phase. With that comes the possibility of getting too personal with your students. Beware, this can come back to bite you. Topics that have no place on the training bus may possibly offend someone. The recipient of your statement may not immediately make it known to you at that time. You can be sure that the moment you inform the student candidate that they failed to successfully complete the training program, whatever you may have said that may have offended them will surface. This just may be enough with or without legal assistance to get an additional round of training. It usually sounds something like this: “I felt offended by what the instructor said and it affected my ability to satisfactorily complete the training program.” Remember that it’s possible that your actions may have very well offended them so keep that in mind. As we all have experienced, chatter regarding topics other than performance-based basic skill development, such as current events, sports or one’s families, will develop onboard and can break the tension that candidates are experiencing in attempting to do their best. This tension breaker may do good for them, but this should occur during non-development drive time. Likewise, if you don’t believe they will satisfactorily complete the training program, then refrain from telling them before they have exhausted all available training days. Telling them they won’t pass before the completion of training will provide them with reason to accuse you of discouraging them from performing well for the remaining training days and pre-judging the remaining training efforts based on their performance thus far. Another conflict can occur when they claim that other instructors they may have had during basic skill development were inconsistent in their teachings. That is why I have always said that your instructional staff must be on the same page with what they are teaching. Trainer inconsistency is a step in the wrong direction for your training program. When putting pen to paper, be sure that your documentation can be clearly understood by your student candidate and others who may need to refer back to it at a future date. Proper documentation is critical in the case of a student candidate operator who may attempt to dispute a dismissal and may want to protest and pursue some type of legal options to challenge an instructor’s final evaluation. Where an “Unsatisfactory” check-off is warranted, be sure to document include a brief statement as to what occurred behind the wheel that justified the “Unsatisfactory” performance. In closing, set guidelines, keep the chatter productive, watch what you say and set the example.